It is probably every photographer’s worst nightmare that their camera were to slip off the PhotoMashatu vehicle and land on the ground. Just a few meters away were two lionesses and their young cubs playing. 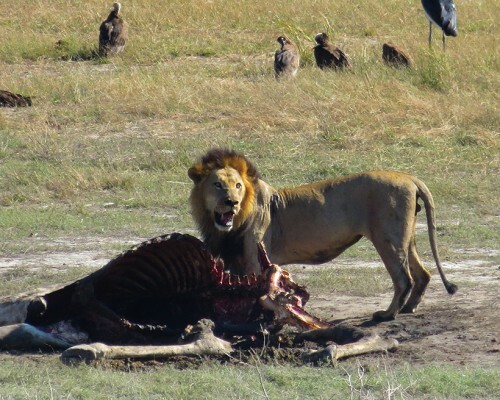 One of the lionesses instantly glared at the camera, when it landed with a ‘thud.’ The guide, Spike, wasted no time in quickly reversing, as he apologized to Barbara Vorster, explaining that they’d have to move away from the camera for now. The lioness relaxed and she sauntered over to the camera. After a quick sniff, she gently picked it up with a very soft mouth and started walking off with it, looking proud as she carried it. 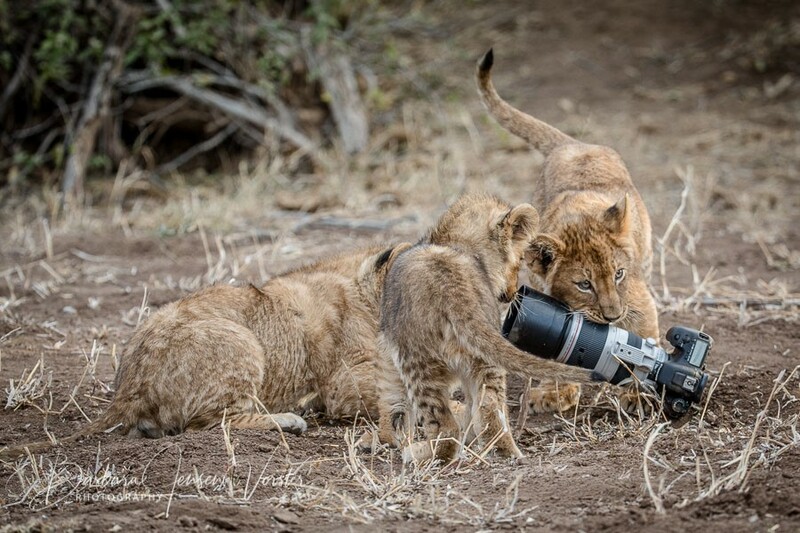 The cubs were all in tow looking curiously at the potential new toy. After a short distance, she delicately put it down for them to play with. Like all young children, they played for a while but soon became bored and we were able to retrieve the camera. The camera wasn’t too badly damaged, but the teeth marks which remain tell a very interesting story. 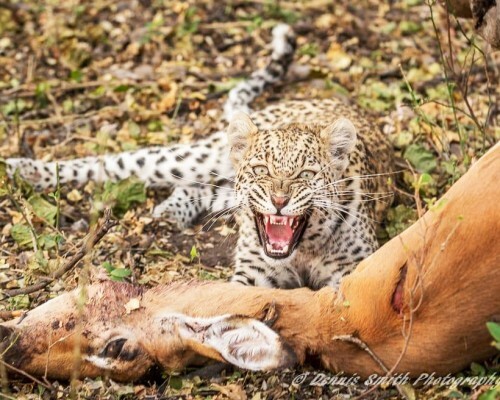 Image courtesy of Steenbok Safaris.